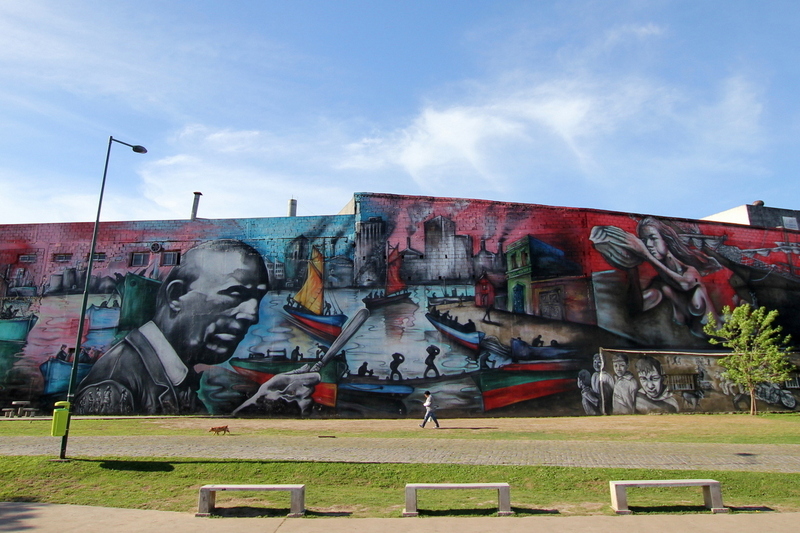 World’s longest mural painted by Alfredo Segatori in Buenos Aires measures more than 2000m2. 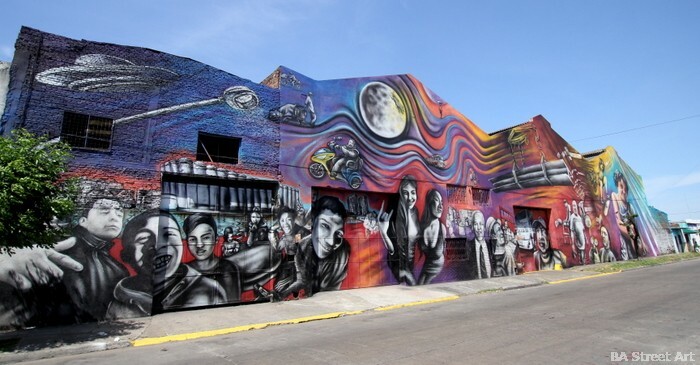 Painted predominantly in aerosol, the masterpiece has been recorded as the “biggest mural in the world” by The Economist and also the longest mural in The Washington Post. The record for the biggest mural in the world painted by one single artist was previously held by Mexican artist Ernesto Ríos, located at the Mazatlán International Convention Center in Mexico City. 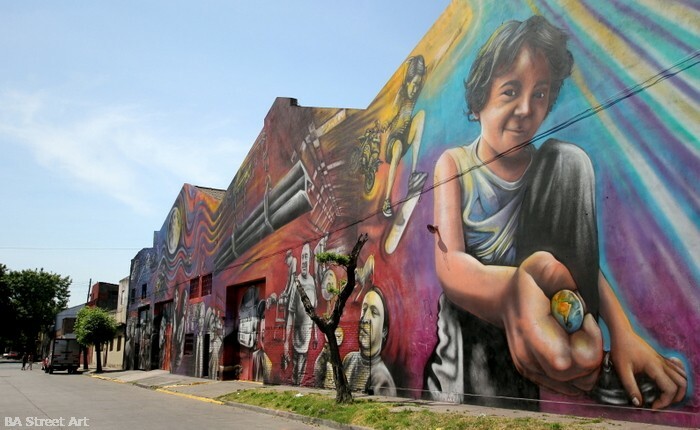 Segatori, who is the first recognised street artist in Argentina having first painted a mural in the street in 1994,’ started the project in June 2013. 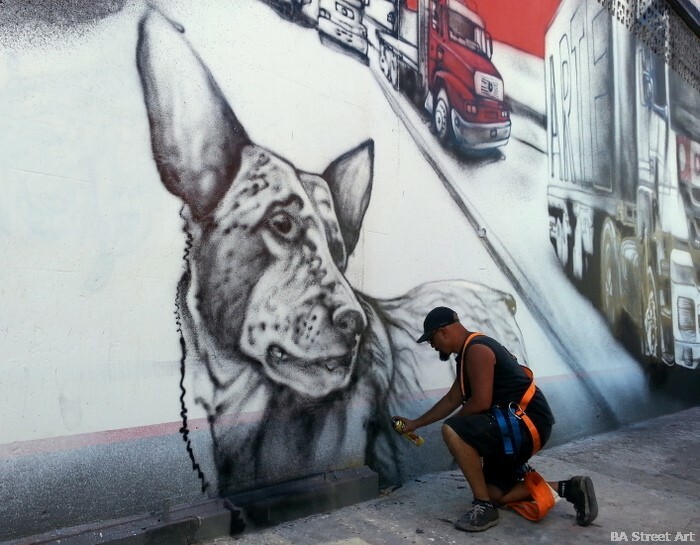 He completed the first part of the mural that measures 1300 metres squared in October 2014. It is entitled ‘The Return of Quinquela’ and features a portrait of Argentine painter Benito Quinquela Martin as its centrepiece and it stands 100 metres long by 13 metres high. 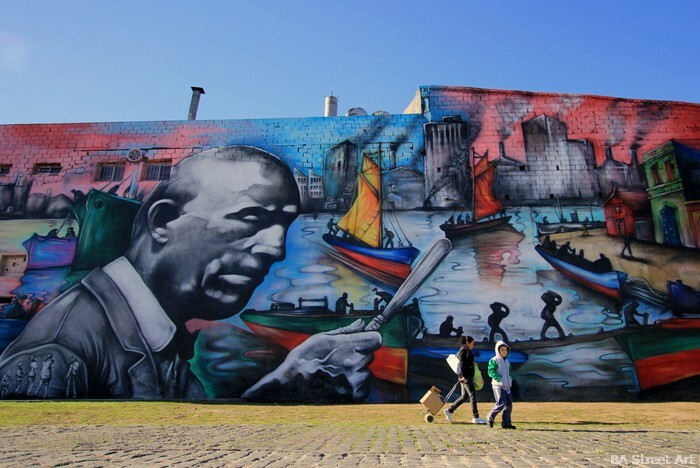 Quinquela Martin was famous for his landscapes featuring dockyard workers in the port of Buenos Aires. From April 2014, Segatori then started work on the next phase of the project after neighbours invited him to paint the fronts of their houses. 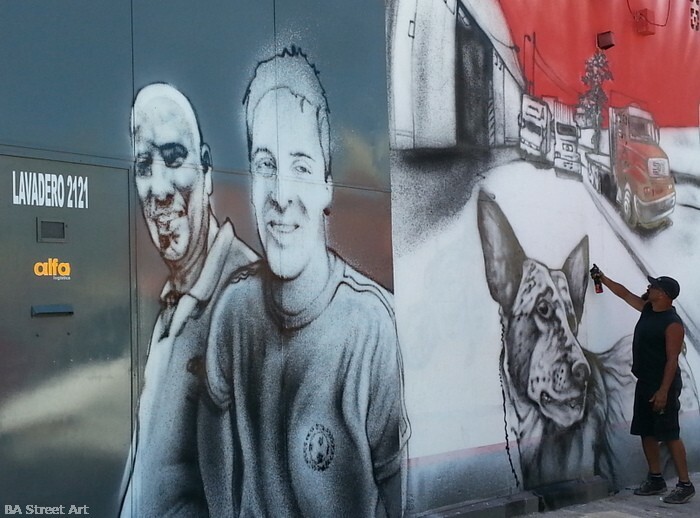 The artist has now painted more than 70 portraits of local residents and people who frequent the area by the Riachuelo River. 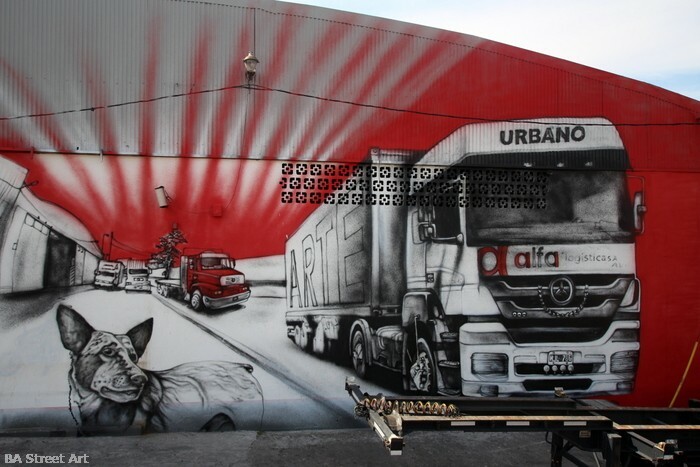 In July 2014, Alfredo then started the third part of the project creating a huge mural on the adjacent metal factory building that measures 700 metres squared. It features portraits of workers and also Segatori’s son Theo holding a marble with a map of the world in his hand. Metal factory with faces of the factory workers and neighbours finished in December 2014. 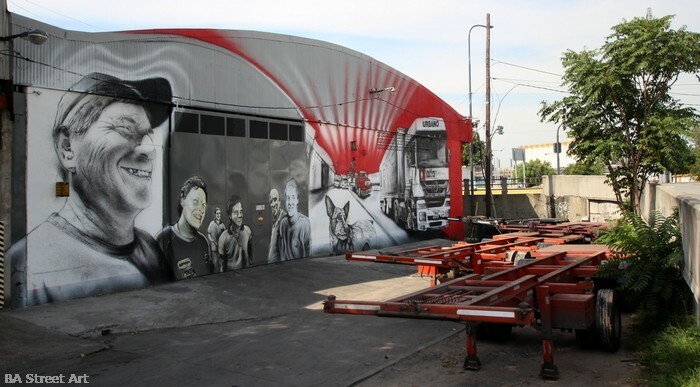 Segatori started the fourth part of the project last month and is painting the facade of freight transport company Alfa Logistica next door to the metal factory building. Portrait of company employee Jose Luis in the doorway. Segatori painted Jose Lius as a Christmas present as he was spending Christmas alone. 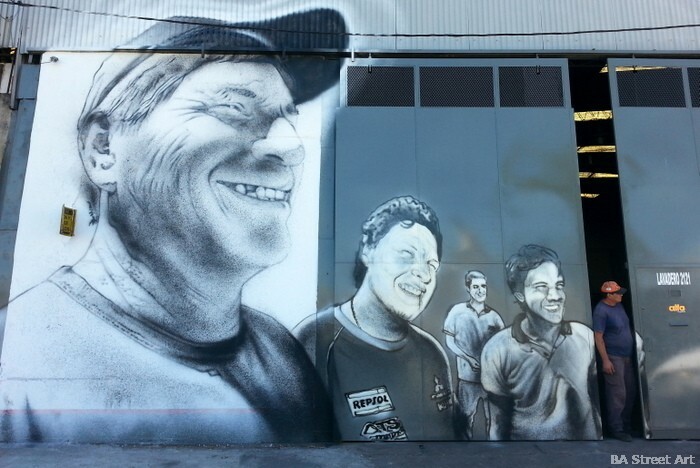 Segatori has used aerosol spray to paint all the portraits, animals and trucks on the front of the workshop. 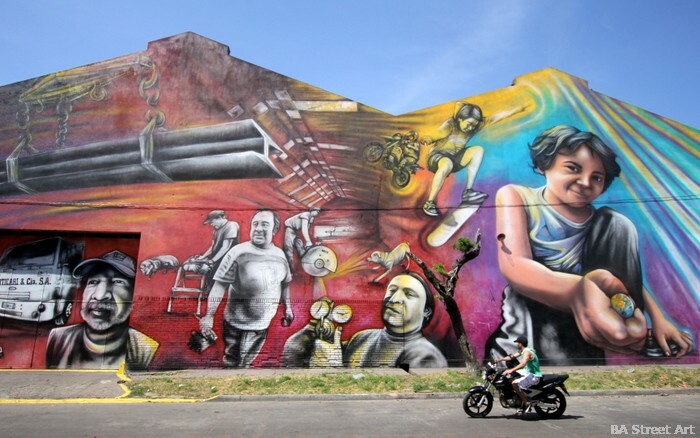 All photos © Buenos Aires Street Art. 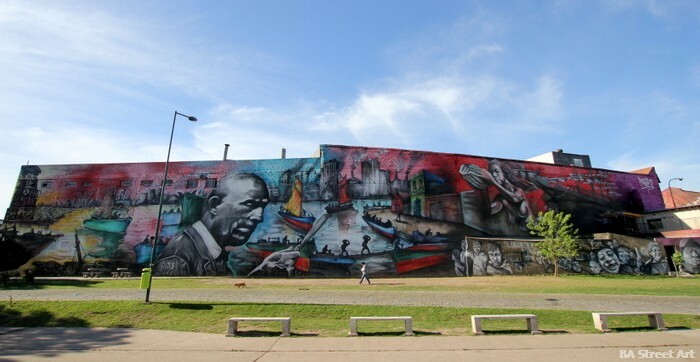 This entry was posted by admin in News and tagged Alfredo Segatori, Alfredo Segatori artist Buenos AIres, Alfredo Segatori giant mural, Alfredo Segatori muralist, Alfredo Segatori world's biggest mural, Alfredo Segatori world's longest mural, biggest mural Argentina, Pelado, Pelado mural Barracas, Pelado mural buenos aires, Pelado street artist Buenos Aires, world's biggest mural.